Just click on the pic or open it in a new tab for a larger view. Last Sunday was another hot and humid day in August that my family decided to have an impromptu swimming trip. We're lucky that Antipolo is just a few minutes away and that the town has an abundance of resorts. 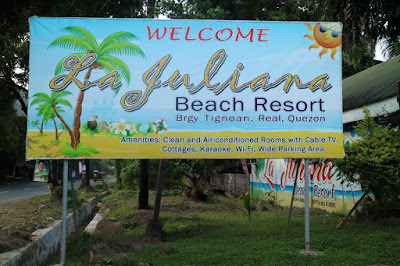 We chose to go to Bosay Resort Barangay San Roque. Armed with a bag of Andok's lechong manok and grilled liempo plus a supply of drinks, ice, and chips, we went up the steep road from Taytay-Tikling Junction that lead us to Marigman Road where Bosay Resort can be found. Apparently, a lot of people hated the warm atmosphere in downtown Manila that almost all of the cottages of the resort were occupied. We were still lucky to have reserved a Regular Kubo and that our location was near the kiddie pool. Our cottage also had a power outlet where I plugged my netbook's charger. Yep, I still had work to do even on a Sunday but that didn't stop me from having fun with my boys. Just around lunch time, my sister, brother-in-law, brother, and nephew arrived. We're happy that they were free to join us in our impromptu swimming trip. They brought raw tilapia, pork, tomatoes, and eggplants for grilling. A swimming party will never be complete without inihaw (grilled food)! Our cottage also has a grill for our use. After lunch, I joined the others in swimming. The water was so cold but I think I do not have a right to complain. I realized that the cool waters of the pool was the ultimate reason why we even went up there in the first place. Besides, I got used to the cold in just a matter of minutes. Day swimming is allowed only until 5 p.m. After that, the pools are closed for maintenance and will be opened only for the night swimmers from 7 p.m. to 5 a.m. After taking a shower and preparing our things, we decided to have a videoke session in one of the resorts many videoke machines. I took out all the 5-peso coins inside my purse and we sang our hearts away. I think we stayed there for another hour and left before seven in the evening. Bosay Resort is very accessible to residents in Metro Manila. Without the traffic in Ortigas Avenue, I think it is just around 30 minutes from Robinson's Galleria. The place is well-kept and there are 3 big pool areas for guests. They also have private pools exclusive for guests who are billeted in those units. There are large parking areas within the resort itself and another one on a separate parking lot outside the resort. 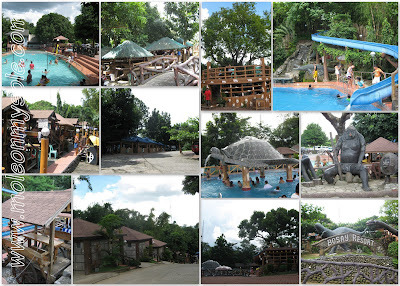 Bosay Resort is located at Marigman Road, Barangay San Roque, Antipolo City. For reservations and rate inquiries, you can call (632) 695-1806 or visit www.bosayresort.com. I'm so sorry to hear that you had a bad experience with Bosay. Baka kasi peak season kaya sobrang dami ng tao. I wonder kung bakit kulang ang grill. Yung kinuha kasi naming kubo may sariling grill. I hope the Bosay folks can read your review. Thanks for the feedback and for the visit as well. WEW!! maganda sa BOSO..! ay sa BOSAY! I hate Bosay Resort, not advisable for children, there are cottages na ang layo sa mga pools. they have a pool, which they called turtle pool: literally pang-TURTLE nga siya... Color Green ang water, my nakita pa akong sipon at dahak... I'm sorry, i have to say this, maari kasing panggalingan ng sakit ang pool na yun. It seems to me hindi xa nililinis, the only thing is that malakas ang solution ng chlorine dun sa water, but that's not an excuse. I have a friend, yung sister niya nagkaroon ng Polio dahil sa turtle pool ng Bosay Resort, apparently naligo ang sister niya sa Turtle pool ng Bosay Resort, meron silang kasama na victim ng Polio Virus, hindi naiwasang napaihi ang bata sa pool... so it goes... (i just want the story short.) Hindi ako naniniwala nung una, but then, hindi lang ang sister niya ang nagkaron ng Polio. most of the kids na kasama nila at naligo sa pool na yun, they found out it's Polio Virus. Too Bad. Again, i'm very sorry kung nasabi ko toh' but this story is true. for the management of this resort, you guys need to be ashamed of yourself. Hindi Maganda ang structure at infrastructure ng Resort nyo, you have to do something about this. However, if there's a bad comment about with this testimonial, there's a good. the good thing is magaganda ang cottages nila. That's all. I wouldn't go back to this resort nor would I ever recommend this to anyone. This resort is the"resortification" of elitism and social segregation. it very apparent na hinihiwalay nila yung mapepera sa hindi. imagine yung mga cheaper cottages ay nasa pinakalikod/pinakadulo ng resort, at nandun din ang mga pinakamaliliit na pools. ang nakakaloka talaga dito eh yung mga main attraction pools nila, eh ang aarte sa swim wear, at napakalayo pa.ang dating, eh pag mahirap ka, dun ka sa dulo at magsikisikan kayu sa mga chipanggang pool na GREEN ang tubig! at kung mapera ka, dito ka sa mga "exclusive" pools. WTF pare pareho lang naman ng entrance fee! it really boils down to the swimwear shizznazz. sana eh talagang naghigpit nalang sila sa lahat ng pools, at hinde lang dun sa kanilang "exclusive" attraction pools. ang dami tuloy mga taong nagmukhang TIMAWA dahil hinde pinapapasok sa ibang pools. ang susungit pa ng mga crew wtf talaga! sobrang makakilatis ng suot mo parang pinagmumukha kang kawawa na kailnagan mo pang magmakaawa na makapasok sa pools nila! bumili nalang kami ng wife ko ng swimwear para di masayang trip, pero how about the others? wtf sayang lang ang binayad nung karamihan dun. 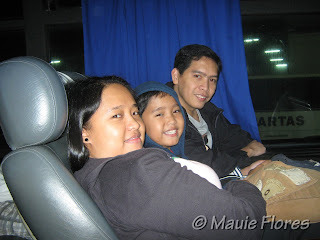 We are planning to go there pa naman, wag nalang.. Wala pa ko nababasang comment na ok ang bosay resort. :-( base from the comments it doesn't have a good review. yeah, balita ko nga di na maganda ngayon. This post was written in 2009. That time, wala naman akong nakitang negative sa Bosay Resort. Kung mayroon man, sana mai-share mo dito tulad ng ibang readers.